ATLANTA, Ga., October 30, 2018 — Tom Holder, founding partner of Gerber & Holder Attorneys At Law, has been elected President of the Workers’ Injury Law and Advocacy Group (WILG). WILG is the national non-profit organization dedicated to representing the interests of millions of workers and their families who suffer the consequences of work-related injuries or occupational illnesses. WILG is comprised of over 1,000 leading workers’ compensation claimants’ attorneys from every state in the nation. Tom is the first Georgia attorney to be President of WILG. This appointment took effect October 29, 2018. Tom has been an active member of WILG since 2013, serving the organization as a Board Member (2013-2015), Secretary (2015-2016), Treasurer (2016-2017), President-Elect (2017-2018) and now President. 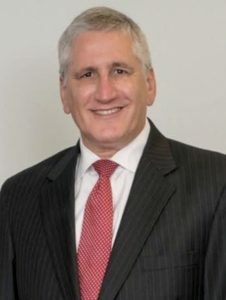 Tom has also served as a past chairman of the State Bar of Georgia Workers’ Compensation Section, the Founding Chair of the Atlanta Bar Association Workers’ Compensation Section, and is a current member of the Executive Committee of the Workers’ Compensation Section of the Georgia Trial Lawyers Association. Atlanta workers’ compensation attorneys Benjamin Gerber and Thomas Holder merged their two firms on Sept. 1, 2018, establishing Gerber & Holder Attorneys At Law. With over 50 years of combined experience in work injury cases, these two experienced lawyers provide the best possible representation to injured workers suffering from back and neck injuries, catastrophic injuries, head and brain injuries and other common workplace accidents. Contact the firm to schedule a free consultation at one of two office locations in Atlanta and Athens, Georgia.